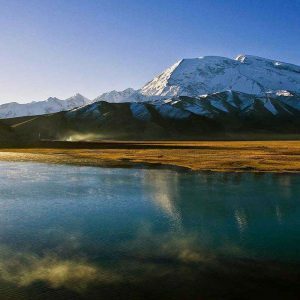 Xinjiang, the largest province in China, but with a population of only 21 million, encompasses the Tarim Basin bordered by the Kunlun Mountains, and the Pamir Mountains in the south and the Dzoungarie Basin between the Tianshan Mountains and Altai Mountains. The region offers a landscape of deserts and arid plains suitable for camel treks and high mountains lined with meadows. Its capital is Urumqi, but the Uighurs regard Kashgar (Kashi) as the cultural capital of the country. The Xinjiang province is home to predominantly Turkish-speaking Muslim populations (Uyghurs, Kazakhs, Kyrgyz) who are no longer in the majority because of an intense process of sinification since the 1950s. The Hans (Chinese) are rising today to 50%. A true crossroads on the Silk Road between the East and the Middle East, Xinjiang is rich in Buddhist and Turkish archaeological remains. Crafts (carpet, knife, clothing …) and the culture of the markets is still very much alive. Uighur cuisine is highly regarded in Xinjiang and appreciated throughout China. Do not miss to taste “undapanji”, a stew of chicken and potatoes, as well as naan, flat rolls, and “yangrouchuan”, a slightly spicy sheep skewers. 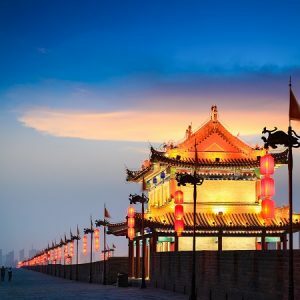 When to travel to Xinjiang?